Mike Davis understands how to help rescued German Shepherd Dogs thrive because he has two rescued German Shepherd Dogs. He's walked the same path you may be on now as a new adopter. His basic obedience class will help you bond with your dog, and he'll help you bring out the very best in your German Shepherd Dog -- it's the best investment in your dog you will ever make. 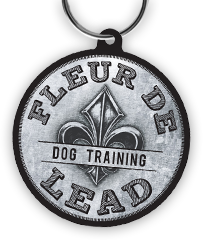 You won't just be getting a basic obedience course, you'll be getting support to help you through the challenges of owning a new dog. He's available by phone and email to help answer questions for clients. He allows clients to repeat the class as many times as they'd like, for the life of the dog. One of the greatest benefits of his class is the ability to attend his off-leash field socialization exercises. On Sunday mornings, current clients and alumni gather to let our dogs romp together. Unlike a regular dog park, most of the dogs at the field are stable, well-socialized and great role models for other dogs. We often see the shy, unsocialized dogs learning self-confidence and social skills by emulating the "pack." The socialization field is often a critical element of rehabilitating dogs with shattered psyches. It's also great fun, with a very supportive, welcoming group of people who will cheer your dog's progress from week to week. 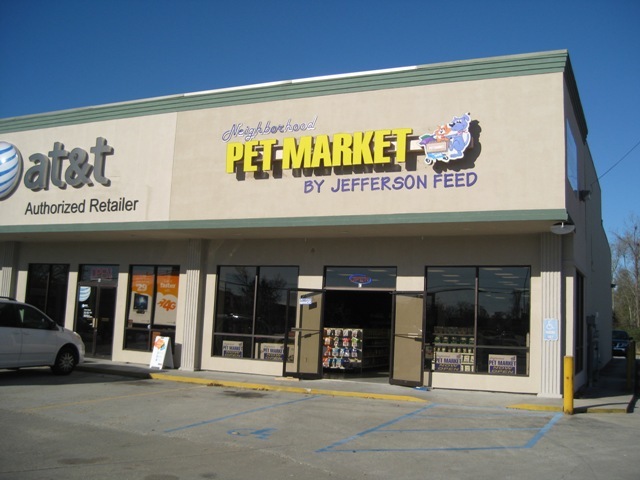 This little store near Perkins and Siegen is a fabulous resource for high-quality dog food at a range of price points. Whether you want to feed the top-of-the-line or just want a reasonably-priced affordable food, this is the place to shop. In our opinion, you'll get better quality for your money in the economical lines of food than you will at a big box store, and you'll be supporting a local business that supports rescuing dogs. The owner, Kurt, is also a wealth of nutrition information and takes the time to talk to you about your dog's needs and what you want. While you are there, you might get to meet one of the fabulous shelter dogs that Kurt fosters at the store. Cypress Lake Animal Hospital in Prairieville is RSGSR's preferred vet hospital for our rescue's dogs. It's worth the short drive from Baton Rouge to Prairieville for the high standard of care this clinic provides to our rescue. We trust the rescue's dogs to this clinic because the level of care provided is excellent: we could not do what we do for dogs in need without our partnership with Cypress Lake Animal Hospital. The clinic owner, Dr. Kuliniski, is outstanding--one of the best vets in the region, in our opinion. She has saved the lives of dogs, when others thought the dogs were hopeless cases. She's brilliant at detecting hard-to-diagnose problems and finding solutions that work. Best of all, she's very compassionate toward every animal. She is one of the smartest, kindest, and most dedicated vets we've ever met. We also love her staff and vet techs. The vets, staff, and facility at Highland Road are first-rate. They are caring, smart, thorough and outstanding at what they do. Dr. Bergeron is terrific with German Shepherd Dogs and understands the special health issues they face, particularly as they age. We think they are the gold standard of care in Baton Rouge. We also love Highland Road's Play Care service -- you drop your dog off in the morning, and your dog-friendly pooch gets to play with other like-minded canine friends for the day. You pick up a very tired dog at the end of the day. For dogs with a lot of energy to burn, or dogs who spend a lot of time at home alone, it's a great treat for them. It also makes them happy and excited when they have to go to the vet, as they associate the vet facility with fun. This service is also available on home game days during LSU's football season, so you can drop your dog off on your way to tailgating! Play care can also be integrated into boarding your dog at Highland Road when you travel. Highland Road has a very nice vet-supervised boarding facility, with a great staff. The Spay Spa is a new vet clinic in Port Allen that offers low-cost vaccinations and medical care. They also offer the most reasonable price on heartworm treatment that we know of -- about 1/3 the cost charged by other vets. The vet, Dr. Fairchild, was the shelter's vet for many years, and she offers very low cost veterinary care.